Fifty years ago today, the Beatles released their first LP, Please Please Me—and the rest, as they say, is history. 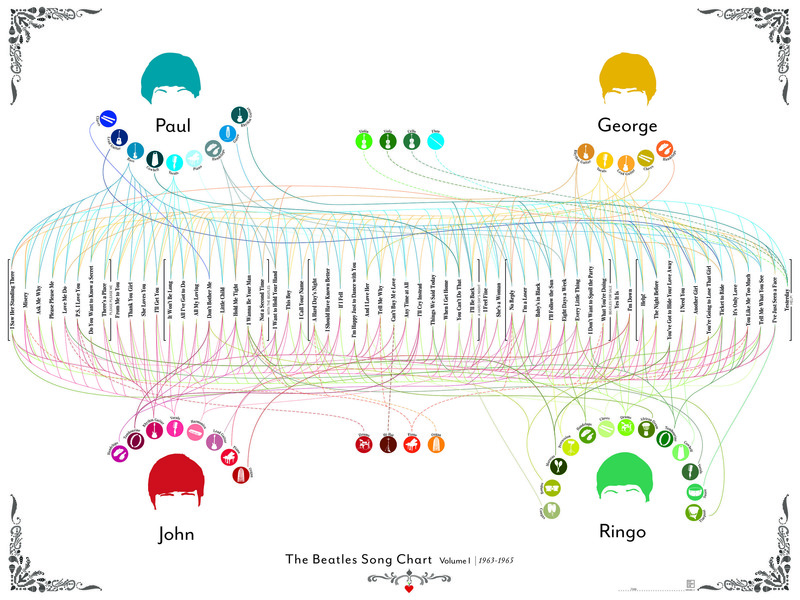 To celebrate this milestone, Pop Chart Lab has created three incredible infographics that break down the instrumentation of the Fab Four’s songs in incredible detail. Check out the prints, and some details on the creative process behind creating them, below. 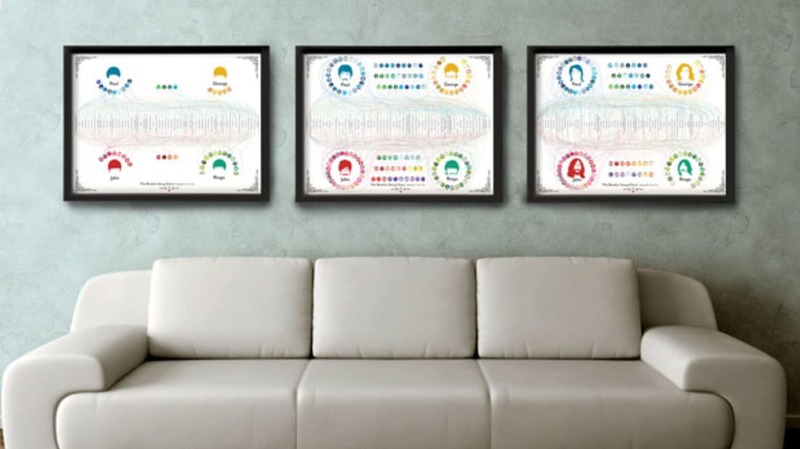 All three infographics are available to purchase, either on their own or as a box set. Click to enlarge, or check out the zoomable version. 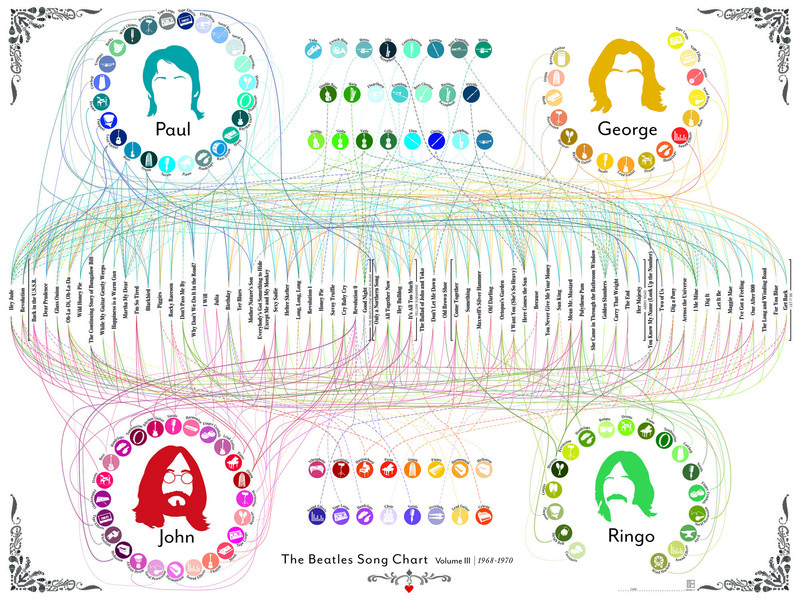 According to the Pop Chart Lab creative team, "[we were] enjoying a radio-binge of the best Rock N'Roll band in history, when it struck us how complicated things got in the late-LSD period of the Fab Four. Not just complicated, but outright baroque when compared to, say, the straight-forward 4-piece rock tracks of Please Please Me and With the Beatles. 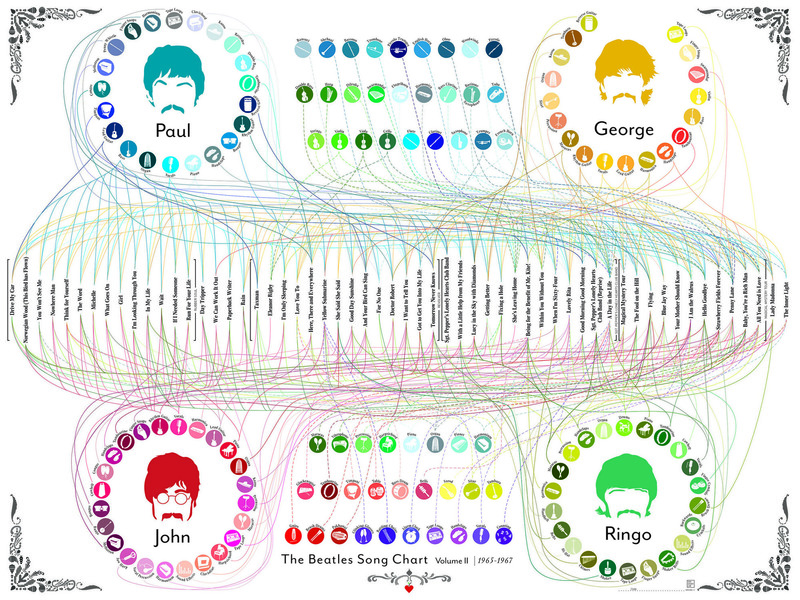 We all agreed it would be nearly impossible to map the instrumentation of songs from Sgt Pepper and Magical Mystery Tour—it just seemed like there were too many bells and whistles (perhaps literally). But impossible is one of favorite words, and the best motivator for us to lose ourselves in research and chartography." Still, they persevered, and found that "at the height of their experimentation, the Beatles used nearly every instrument imaginable, from sitars and dilrubas to full on brass arrangements to banging on an anvil and having someone count eerily in the background of a track." To present the data, the team "turn[ed] the songs on their sides. As we drew the lines from song to instrument, we felt happily lost in the psychedelic swirls of the catalogue, and three distinct Beatle periods presented themselves: The mop-top schoolboy Beatles, the surreal Sgt Pepper marching band, and the roof-top playing, unshaven Let It Be veterans at the end of a long, fruitful career."